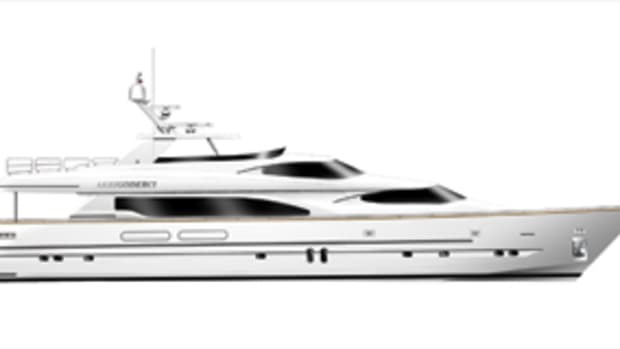 Recognizing that many megayacht owners may wish to have a tender as distinctive as their motoryacht, Shannon Yachts has introduced the Shannon Tender 32. Considering her classical styling with jaunty Downeast flare, it&apos;s easy to see why designer Walter Schulz calls her a limo launch. From her S-shape stem to her rakish transom, the 32 exudes a sophisticated bearing, underscored by a sporty forward cockpit that will let VIPs ride in style. Unlike most tenders, the Shannon 32 is meant to serve two distinctly different purposes. 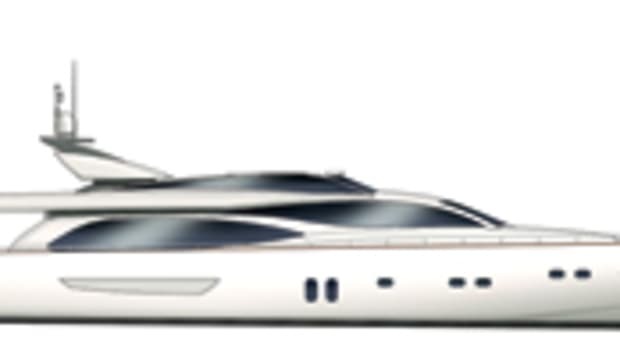 As a luxury launch, she can accommodate ten guests on the twin settees that line her cockpit. To provide protection from inclement weather, her cockpit can be fitted with a convertible top and a removable fiberglass cap. 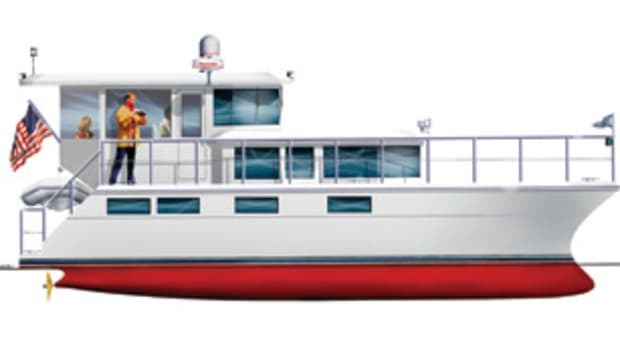 But here&apos;s the luxury part: Guests can also opt for the comfort of a full-beam, U-shape settee on the lower deck and enjoy the convenience of an adjacent wet bar, galley, and head with separate shower. The Shannon 32 is also designed to serve as a luxury cocktail cruiser for the owner who desires a bit of hands-on experience. Her spacious cockpit and open bridge deck are the perfect setting for casual entertaining under the stars, with those aforementioned amenities just a few steps away on the lower deck. 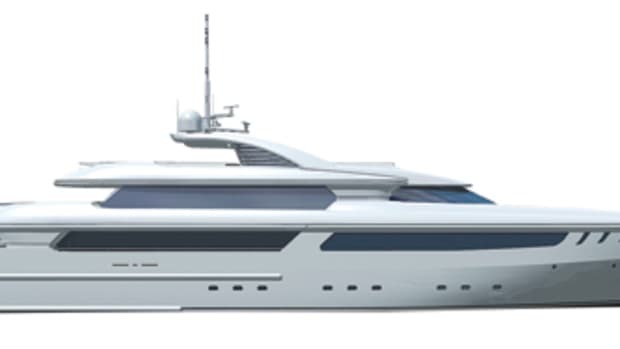 For the adventuresome, she sports a full-beam swim platform accessed through a transom door. And for the sedentary, there&apos;s a queen berth in the bow to catch a cat nap. Standard propulsion is a pair of 240-hp Yanmar diesels that should deliver speeds around 30 knots, but a wide range of engines can suit each owner&apos;s preference. 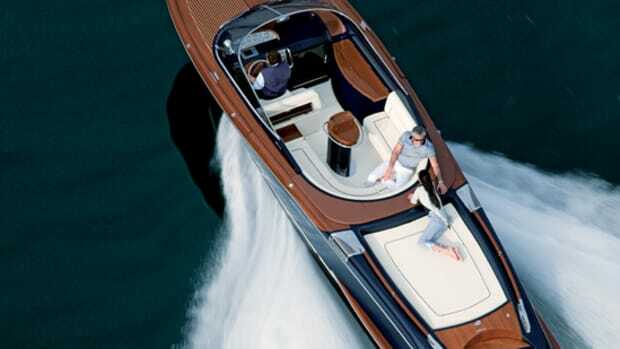 Her modified-V hull form has a fine entry and generous flare forward to deliver a smooth, dry ride. Propeller pockets help to reduce draft to a modest 2&apos;9" so the 32 can explore all but the shallowest of coves. And foam-core construction keeps weight to a minimum, so she should be easy on fuel. 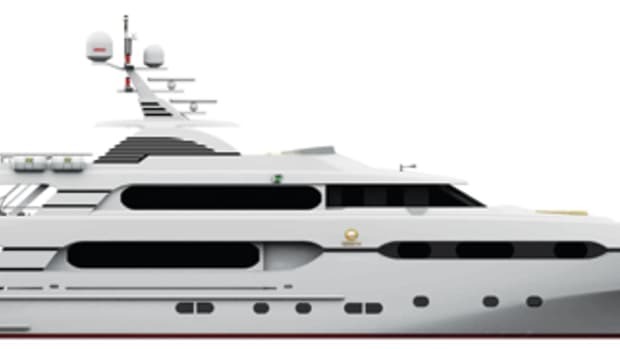 Perhaps the most important feature of the Shannon 32 is her builder&apos;s reputation and the philosophy that each tender should be treated as an extension of the megayacht, not just as a separate component. Following a practice built on more than 30 years of custom sailboat and powerboat projects, each Shannon Tender will be detailed to match the spirit of the megayacht it supports, offering the highest quality of craftsmanship and custom design features. 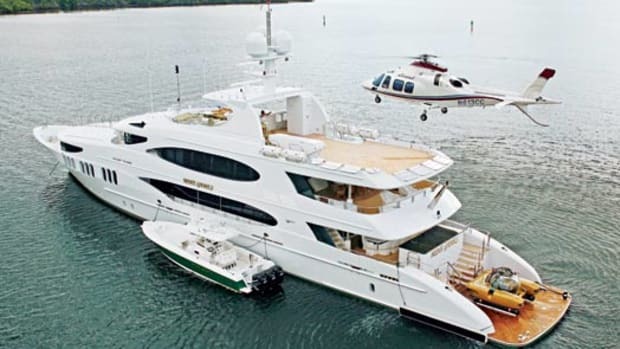 For more information on Shannon Yachts, including contact information, click here.